The Ultimate I Ching Reader, this program facilitates the use of the I Ching (易經 or the Book of Changes, an ancient Chinese classic text, as an oracle. For both iOS and OS X.
Janus Notes is a note-taking program for iOS and OS X that seriously respect your right to privacy. Superego helps you understand what you do when you are sitting at your computer. It tracks the application you're using and the related documents and reports back time spent on any document. It is designed and intended for personal use, like the "real" Super-ego. A mean to improve ourselves by understanding what we do. Radio Paradise is a unique blend of many styles and genres of music, carefully selected and mixed by two real human beings — enhanced by a dazzling photo slideshow, tied in thematically with the songs that are playing. There's nothing else that's quite like it. 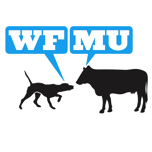 WFMU is a listener-supported, non-commercial radio station broadcasting from the greater New York City area. It is currently the longest running freeform radio station in the United States. Listen to live streams, archives, and podcasts, view playlists and comment on shows in real-time, bookmark and share your favorite songs, and download archives for offline listening. Since old times plants have always been helping us, and the Flowers that Dr Edward Bach identified as particularly useful to us are here, to be our counsellors, in these cards. Time is Money measures the time spent (or used, if you like) in a meeting. Short Wave (formerly Radioz) is an Universal application that streams Internet Radios on your iPhone, iPad and Macintoshes. If you have a Nabaztag/tag and an iPhone/iPod Touch or an iPad Coniglio will be the program you were waiting to get the most from your Nabaztag. Meemi is an Italian site that combines the social networking and microblogging in a single instrument, generating a constant stream of information, called lifestream, collecting and sharing micro contents quickly and easily with friends, the memes. At any time and from anywhere in the world. ilTofa.com is the work of Giacomo Tufano (that's me!). I'm based in Rome, Italy. After some programming, some startup (some succesful, some not) and a long career in Sales, Marketing, People Management and Operations in Sun Microsystems and Oracle (more info on LinkedIN), I decided to return to my programming roots. Currently I work from home, tend my children and try to be happy. Money is always good, so I also do 3d party works. I'm always looking around to expand my network to find more remote/freelance jobs. Email me if interested (link is below in this page). More information about me are in many places on the Internet: on Twitter, on Facebook. My professional info are on LinkedIN. I also have photos on Flickr and Instagram. I just restarted a personal presence in Italian.